Shelf advertising is known within the retail industry. Usually, brands offer a lot of great shelf talker ideas which make the grocery aisle colourful and vibrant. This helps catch the attention of shoppers and motivate them to check out your products. Custom Shelf talkers are usually small, colourful, and informative cards that are attached to the shelf ledge. The main purpose of these ads is to convey the messages from your brand to the grocery shoppers. This is an effective way to attract new and potential customers. 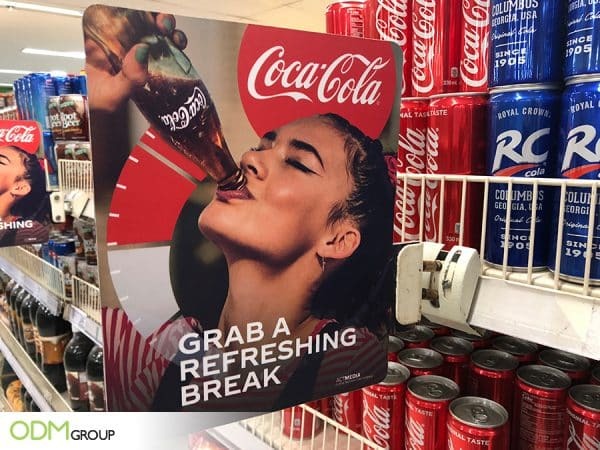 Attention-grabbing talkers – These are the colourful, vibrant, and bold advertisements that we see on the grocery aisles. Some brands even install marketing LED display just to boost their marketing campaigns. These displays are straightforward to the shopper. They don’t show creative intros but discounts and freebies. Overall, these are quite popular amongst beverages, candies, and chips brands. Where to use these shelf talkers? 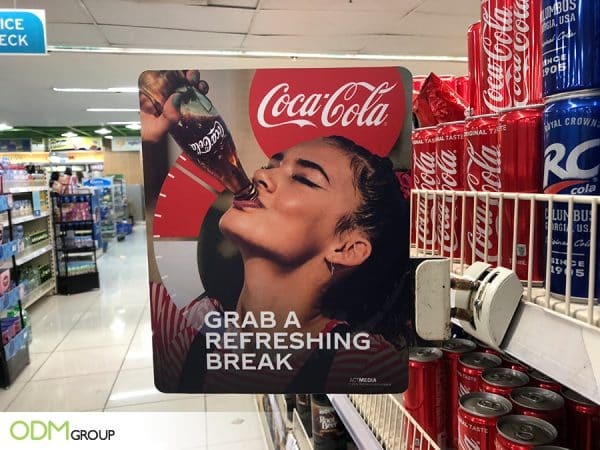 Why do we love this Shelf Talker from Coke? Hard to miss – Coke uses a full HD colour print which makes it even more attractive. This stands out from the rest of the brands on the retail shelf. Highly Customisable – Manufacturers, like ODM, customise promotional shelf talkers according to the request and needs of the brand. They can easily create ads into various sizes, unimaginable shapes, and striking colours. This ensures that the promotion is unique and catches the customers attention. In conclusion, whatever shelf talker ideas you might want to use, we’re pretty confident that it will help greatly in your brand promotion. So, don’t hesitate to try these proven ideas on your next brand campaign. Along with shelf talkers, you may use a custom pop display and beverage display rack to maximize brand presence! Should you have questions or queries, please feel free to reach out to the ODM team. They are experts in manufacturing marketing-related products and tools. Here’s an effective shelf talker from Pedigree. This is one creative shelf ad from Maggie! Lastly, a dishwashing brand shelf talker that’s effectively getting attention from Asian supermarkets.